Homeowners often bag and dispose of grass clippings when mowing their lawn. But did you know you can avoid this tedious work and help your lawn? Try grass cycling. This refers to the practice of leaving your grass clippings on the lawn after you mow. It’s really a simple method for recycling your yard waste. Why should you cycle your grass? Grass clippings help your living grass grow. Clippings are about 80 to 85 percent water. Clippings contain valuable nutrients. Every pound of grass clippings includes about 4 percent nitrogen, 2 percent potassium, and 0.5 percent phosphorus. Grass cycling helps reduce mowing time. What’s the proper technique for grass cycling? 1. Mow your lawn properly. Cut only when your grass is dry. Keep your mower’s blades sharp. Dull blades can shred grass and permit disease. Follow the 1/3 rule: mow your lawn often enough that no more than 1/3 of the grass blade is removed in any one mowing. This will produce short clippings that will not cover up the grass surface. 2. Water your lawn well. Water your lawn about 1 inch every 5 to 7 days during spring growth season. Water your lawn less during non-growing months. 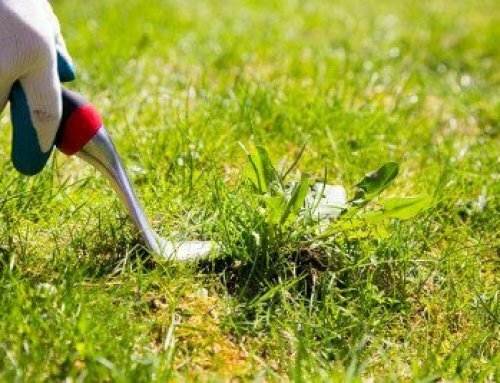 Caution: if you water your lawn too frequently, your grass will develop a shallow root system. This leaves your grass vulnerable to disease and stress. Deep and infrequent watering makes roots grow deeper. Use a combination of fast-acting fertilizers with slow release nitrogen sources—like the fertilizers we use at Emerald Lawns. 4. Leave your grass clippings on the lawn. It’s best to just leave your clippings right where they fall. At first, dead grass left atop your living grass may make your lawn look odd. But the dead grass will soon fall closer to the soil and vanish from sight. Grass cycling saves you time and cheaply enriches your grass. 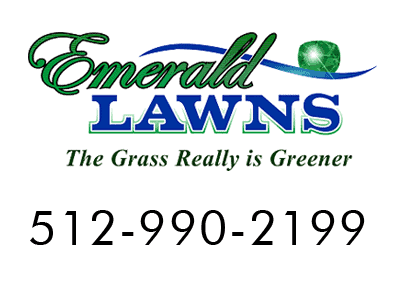 To learn more about beautifying your lawn, contact us at Emerald Lawns: 512-990-2199. We’re happy to help you get the lawn you deserve.